Paul uses two words in his letter to the Colossians that I think aptly describe the Christ-centered church. He writes, “He is the head of the body, the church; he is the beginning and the firstborn from among the dead, so that in everything He might have the supremacy” (Colossians 1:18). 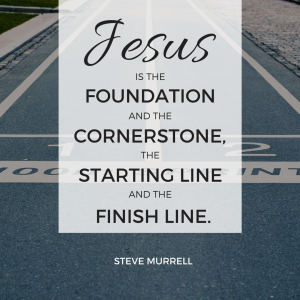 The first key word is “everything.” Jesus is supposed to be the center of everything — not just religious and eternal things. Everything certainly includes Sunday, but also Monday through Saturday. Jesus should be the center of every sermon and every song, every prayer meeting and every worship service, every individual and every family. Everything. The second word is “supremacy.” Jesus is not to be the top priority on our long list of priorities, the first of many. Rather, He is to have supremacy, meaning He is the foundation and the cornerstone, the starting line and the finish line. He is the beginning, the middle, and the end. He is the ultimate. Nothing compares. Nothing competes. Supremacy in everything! Born Supremacy is an excerpt from 100 Years from Now: Sustaining a Movement for Generations by Steve Murrell. Click here to purchase the book on Amazon.